A good veterinary technician has more than just credentials behind their name, and education and/or experience under their belt. These may get you in the door for employment, but there are certain qualities that will help to keep you in the job that you want, to build the career that you deserve. Let’s explore each quality in depth. Patience is manifested in many ways. A good technician has patience with their patients, no pun intended. We are exposed to animals of all sorts, with all different types of personalities. It is easy to become frustrated with a fractious or even nonresponsive animal patient, but we must always remember that they are in a place they did not choose to visit, getting something done to them that they would not voluntarily succumb to if they had a voice. Just as important, we will also be dealing with all different types of people, both clients and the rest of the veterinary team where we work. This is probably the biggest challenge, as we tend to give animals the benefit of the doubt. But suffice it to say, sometimes we are dealing with people who also may be in a place they didn’t choose to visit (i.e., the client in the midst of a pet’s illness or injury), or doing something they may not want to do (i.e., our team members, when they are faced with a difficult or distasteful task that they would rather not complete). This is where the “golden rule” of sorts comes in handy, to treat others as you would like them to treat you … not, in fact, the way they DO treat you! It’s not always easy, but it is an essential part of the job if you want to succeed as a veterinary technician. Respect goes both ways: You need to respect others, and you need to gain their respect in return. Respect is not an easy thing to gain, and if it becomes broken, it is nearly impossible to get back. So, you must be very careful. Respect will be given to you if you treat others with respect. What does that look like? You demonstrate your respect for others by listening to them intently, not judging them too quickly or harshly and giving them the benefit of the doubt. If they say or do something you are not immediately comfortable with, ask questions, but in a friendly and positive manner. Perhaps it is your own lack of knowledge in this circumstance that makes it difficult for you to understand what they are doing. As an example, you may feel a lack of respect while watching a coworker restrain an animal in a way that you do not like; yet upon friendly inquiry, you discover that the attending veterinarian gave the coworker strict instructions to do exactly what they are doing. If you don’t know everything, you may jump to the wrong conclusion. When it comes to gaining respect, it really is the same thing in reverse. By being respectful to others, they will look at you with respect. And remember, they are always watching! 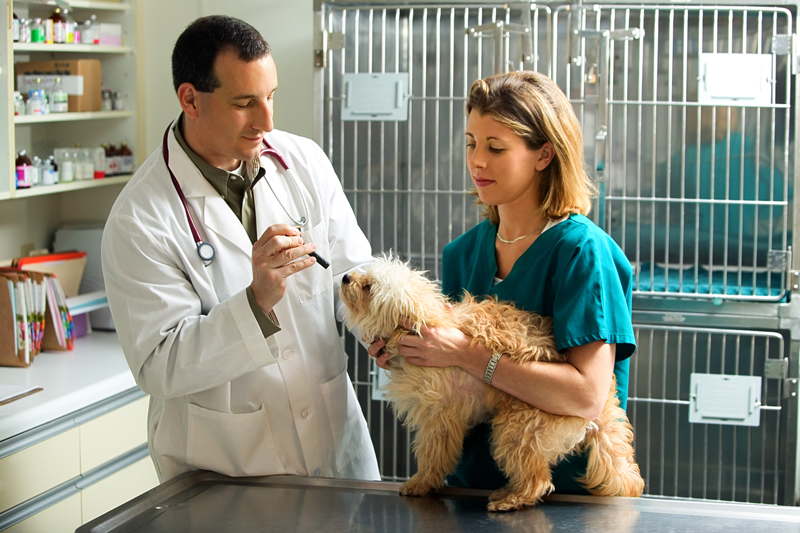 As a veterinary technician, you’ll assist veterinarians in their examinations. Integrity is about doing the right thing, or owning up to a mistake when the wrong thing is done. Honesty is a close cousin to integrity. While honesty implies that others can trust what you say, integrity goes a bit further by implying that others can trust that you say what you do, you do what you say, and you do not commit those “lies of omission” or “white lies” along the way. Learnability is not a term you hear very often, but it is one of the most important traits. You undoubtedly will enter the veterinary profession with a wealth of knowledge, skills and experiences. However, you also have to admit that you do not know everything, and you must be able to be taught what you do not know. So this involves an open-minded attitude that exhibits your desire to learn, and your ability at actually being able to learn. For example, you may not know how to place an unfamiliar type of catheter, but that is not a problem as long as you are able to learn how to place it. Resilience is similar to fortitude, stamina and the ability to stay the course even under varying degrees of pressure. There will be days where the world will be caving in on you, and you can barely take a break to go potty. Some people flourish in an environment like this; others simply have to endure it, but at least they get through it. This is true in the physical sense, but also in an emotional or mental sense when you must deal with the trauma and tragedies of others, typically your clients and their pets. Resilience is improved with knowledge of burnout and compassion fatigue, two conditions that influence how we feel about where we work and the work we do as caregivers. Arm yourself with knowledge on how to cope with these conditions, and do not be ashamed or afraid to ask for help. Realize that the work we do is extraordinarily difficult, and it just makes sense that we need to develop coping mechanisms to maintain resilience, and at times we need to seek help to learn these tools. A vet tech is always ready to learn. Being a good veterinary technician involves the self-awareness to determine if you indeed have the traits listed above, and which ones you need to foster and make stronger. Without self-awareness, it is impossible to make improvements in yourself. Be honest with yourself about your behavior and attitude in the workplace. Respect your position on the team and the important features you bring to the practice. Improve your resilience to be able to stay the course and focus on the positive aspects of the work we do. There are many more traits that are important for a good veterinary technician, but with a solid foundation of the traits listed above, you will be on your way to a satisfying and successful career!